Terence Healy represents clients in their most sensitive matters before the United States government. He is co-chair of the Securities Enforcement Practice and co-chair of the Private Funds Practice at the firm. Terence is a seasoned trial lawyer who regularly represents public companies, financial institutions, hedge funds, private fund advisers, and individual officers and directors in matters against the Securities and Exchange Commission (SEC), Department of Justice (DOJ), Commodity Futures Trading Commission (CFTC), Financial Industry Regulatory Authority (FINRA), the CME Group (CME), and other regulators. His practice focuses in four main areas: Securities Enforcement, Internal Investigations and Corporate Governance, Complex Litigation, and Private Funds. Terence routinely represents financial institutions and individual officers and directors in securities enforcement proceedings before domestic and foreign regulators. He has successfully defended companies and individuals in formal investigations and litigated proceedings, often securing favorable resolutions with regulators—even after the issuance of a formal Wells notice or its equivalent—without any charges being brought. 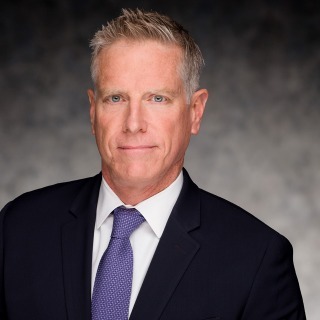 He has a detailed understanding of the challenges facing public companies and financial firms in complying with the changing regulatory environment after Dodd-Frank and has extensive experience in the areas of financial reporting and in issues affecting investment advisers and the private funds industry. Prior to re-entering private practice, Terence was Senior Assistant Chief Litigation Counsel for the SEC Division of Enforcement. In that role, he oversaw SEC investigations and prosecuted violations of federal securities laws in cases related to financial fraud, insider trading, the Foreign Corrupt Practices Act (FCPA), structured products, and other issues. He also supervised a team of seven first-chair SEC trial lawyers. Terence has led internal investigations on behalf of public companies, audit committees, special committees, private fund managers, family offices, and financial institutions. He has extensive experience in managing large investigative teams, securing and gathering relevant information, and leading clients through the challenges that flow from the discovery of institutional misconduct. He believes effective internal investigations should have a clearly defined scope with agreed to procedures, anticipated timeline, and budget. Terence counsels clients on issues such as fiduciary duties in conducting investigations, public disclosure and financial reporting obligations, and communicating with various outside interested parties. For more than two decades, Terence has represented clients in complex disputes before trial and appellate courts throughout the country. He has been lead trial counsel in numerous complex matters tried to verdict, including multidistrict proceedings. His results include securing dismissal of claims against officers or directors of public companies in various securities class action cases; obtaining summary dismissal of claims against a private fund manager and its principal following a two month trial of an SEC enforcement proceeding; securing a defense verdict for the lead defendant in a four month trial in federal court; securing a verdict for his client on all claims following a three month trial of an SEC enforcement proceeding; and briefing and arguing a certified appeal to a state supreme court, leading to the dismissal of a $500 million claim against the client and the issuance of a precedential decision from a federal Court of Appeals which was later favorably cited by the United States Supreme Court. In each of these matters, Terence was the first-chair lead trial attorney. Terence is the co-head of the Private Funds Practice at the firm and has extensive experience counseling investment advisers and private fund managers in regulatory and enforcement matters affecting their firms. Our Private Funds Practice brings together subject matter experts in the areas of fund formation, compliance, tax, structuring, and securities. Our attorneys have more than 30 years of experience working with the asset management industry and help fund managers work through both the regulatory and business issues they face. The strength of our practice lies in our judgment and in a knowledge of the private funds industry gained over decades of experience.